The star of this show! Yield: 6 Hearty ServingsAuthor: Me! This recipe is a heart warming, autumn filled, aromatic, comfort food formula that is a massive crowd pleaser. Plus it's all thrown together in one pot! 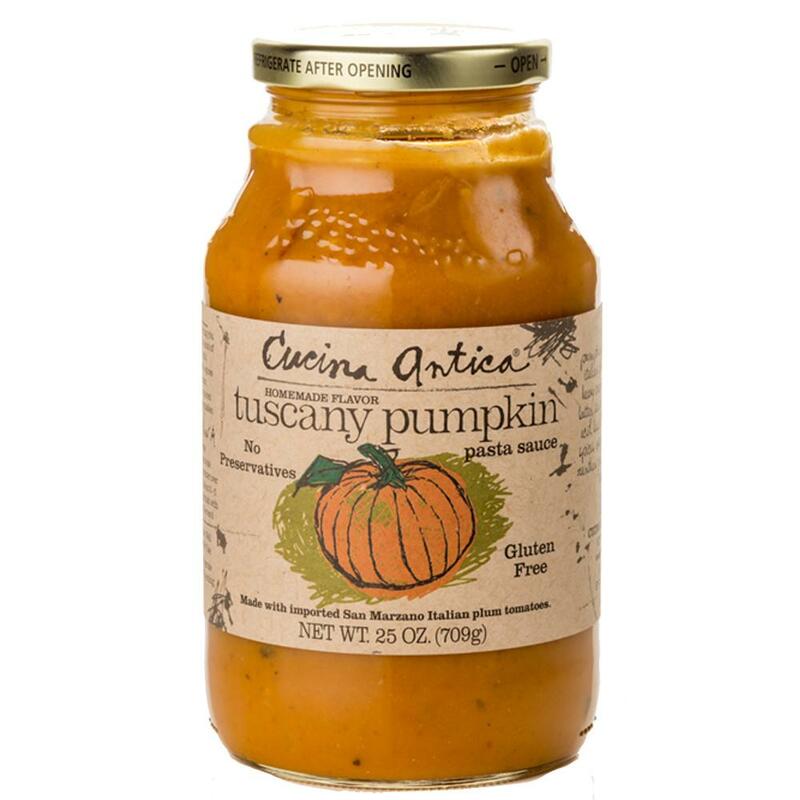 The star of this show is the Tuscany Pumpkin pasta sauce by Cucina Antica. Add all ingredients to a sturdy large pot. Cook on medium high heat, stirring occasionally, for 15-18 minutes until the pasta is al dente.